Educating for Diversity and Social Justice foregrounds the personal stories of educators who are engaging the space of schooling as a site of possibility for realizing the goals of social justice. It is a book inspired by a vision of education as a practice of freedom where young people – especially those who are marginalized – can learn that they have a voice and the power to change their world for the better. Drawing on the work of US philosopher Nancy Fraser, the book examines issues of justice and schooling in relation to three dimensions: political, cultural and economic. While its focus is on research within three Australian case study schools, the book provides an international perspective of these dimensions of justice in western education contexts as they impact on the schooling performance of marginalized students. Towards greater equity for these students, the book presents a comprehensive scaffold for thinking about and addressing issues of schooling, diversity and social justice. 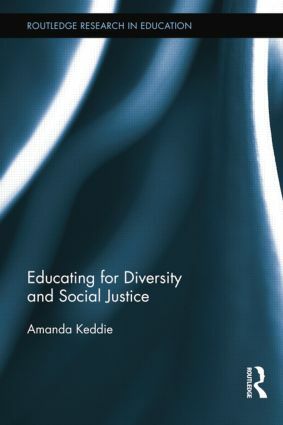 Through practical examples from the case study research, the book illustrates the complexities and possibilities associated with schools providing inclusive environments where marginalized voices are heard (political justice), where marginalized culture is recognized and valued (cultural justice) and where marginalized students are supported to achieve academically towards accessing the material benefits of society (economic justice).